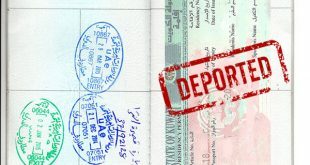 KUWAIT CITY, April 7: The Court of Appeals overturned the verdict issued by the Court of First Instance which sentenced two Arab expatriates to jail terms followed by deportation over charges of possessing drugs and intoxicants for consumption and peddling. The court instead decided to refrain from penalizing the defendants, instead obligating them to pay KD 200 each for bail and present good conduct for a period of two years. The Public Prosecution had charged the two suspects of possessing hashish and methamphetamine. 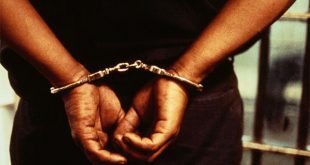 The arresting officer explained that he conducted secret investigations which confirmed that the suspects were involved in drug consumption and peddling. He then arrested them and searched their houses which led to the discovery of the drugs. 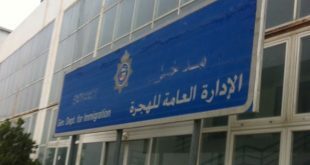 However, during the court session, the defense counsel Lawyer Esmat Al-Kharboutli insisted that the arrest-andsearch procedures are illegal as they were carried out before a warrant from the Public Prosecution was secured. She affirmed that her clients have nothing to do with the drugs, adding that the seized items were not weighed, and the descriptions of her clients were not mentioned in the investigation report, which makes the investigations illegal. Meanwhile, the Court of Appeals overturned the verdict of the First Instance Court, which refrained from imposing a sentence, and acquitted a citizen accused of possessing and consuming brain stimulants after being arrested for involvement in a financial case. This led to the acquittal of the citizen by the higher court. According to the case files, the arresting officer told the court that he saw the defendant walking away from his car in a staggering manner, prompting the officer to stop him for questioning. The officer discovered that the defendant is wanted by law for involvement in a financial related case. Before the citizen was taken into custody, the arresting officer conducted preliminary search which revealed he was carrying 16 white and blue pills believed to be narcotics. Lawyer for the defendant, Attorney In’aam Heydar, argued in court that her client was illegally arrested and searched. She also pointed out that the Public Prosecution failed to present substantial evidence; hence, she called for acquittal of her client. Public auction held: Head of the Auction Committee at General Administration of Customs Ali Al-Enezi declared that the administration held a public auction recently and sold 12 containers of rice, six containers of household utensils and 2,591 cartons of cigarettes for a cost of KD 66,550, reports Al-Anba daily. These items were confiscated after attempts to smuggle them were discovered.